NEW YORK, USA — I arrived home to New York today, exhausted from the three flights and long layovers, but still feeling the magic of the tenere. And the Saharan sand is still in my boots, and probably everywhere else too — a small pile of desert fell out of the bottom of my duffle bag when I finished unpacking. It will take me a while to process everything from the trip, edit through the photos, organize the GPS tracks and map the routes, and put all my notes into a coherent report. That is all the longer, harder part of the project after the rush of the actual journey. I really learned so much more than I could have imagined during this trip. I went to Djanet looking for very specific details about locations, conditions and logistics in the southeast of Algeria, but came away with new knowledge about driving, navigating and desert “bush-craft” thanks to my Tuareg friends. Mohammed was a very patient teacher, and I really appreciate his interest in furthering my desert “education” while we were out there. I will miss our shared nights under the stars, with Tagazou and Saghd improvising song lyrics while kicking out assouf beats on their guitars. 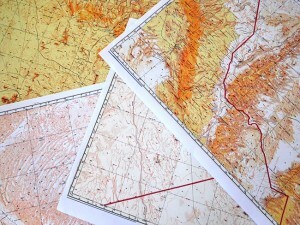 JoMarie Fecci, of USnomads, sets off on an independent scouting trip in south-eastern Algeria in preparation for an up-coming Sahara expedition. Driving a Toyota Landcruiser and working with a small team of local Tuaregs, she will traverse roughly 650 miles of desert primarily off-road. From a base in the town of Djanet the plan is to loop southeast to the Libyan border, before turning back and circling north west as far as the Ihrir oasis. 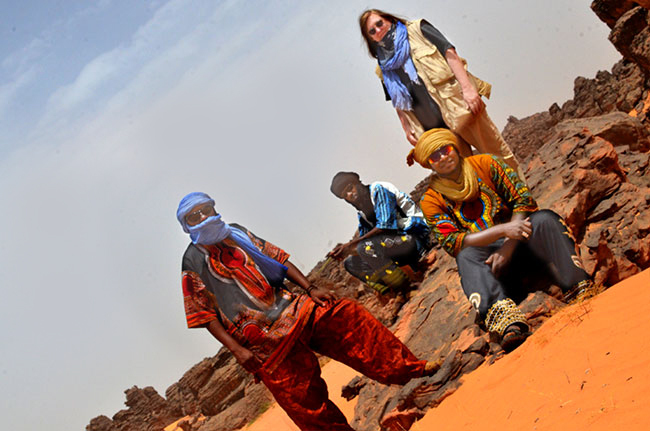 During the journey the team will visit a series of UNESCO world heritage sites around Tassili N’ajjer. The primary goal of this mission is to assess terrain, security, driving conditions, logistical concerns and approximate timeframes for future travel.